In September of last year we made several big announcements. We released version 2.0.0 of Angular and that we were adopting Semantic Versioning, meaning that developers will see version number increases in a planned and careful manner. As a result of these announcements, you’ve seen us using the term Angular to refer to all versions of the framework after 2.0.0. We’ve had a great response from Developers about this. Bloggers and authors and discussions boards can in most contexts drop the version number from discussions of Angular, because the tutorials, tips, tricks, and content that works in version 2 will work in version 4, and likely beyond. This allows those discussing Angular to talk about the framework without becoming prematurely dated each time there’s a version bump. Angular Router Guide – Learn about how to use the Router in Angular as the basis for page animations, analytics tracking, and how to fetch parameters and data reactively from the router. Angular 2 Router Guide – Learn about how to use the Angular 2 Router as the basis for page animations, analytics tracking, and how to fetch parameters and data reactively from the router. By not using “Angular 2” in the title, the content still feels applicable and useful after version 4, 5, 6, 7, etc have been released, as the syntax is unlikely to change. Our announcements around “It’s just Angular” were the first step in bringing consistency into the naming of the platform and the ecosystem. Our recommendation last month was to use Angular 1 for all 1.x versions of the framework and Angular for all the subsequent versions (unless a version was required for clarification in a given context). We heard from the community that because AngularJS has been used for for so long, it would be too hard and confusing to “rewrite history” across the web and the physical world. We agree with this and we have accepted the suggestions many of you have brought up to return to our roots with the name AngularJS for any 1.x release, and Angular for any 2+ release. Our goal is to bring as much consistency as possible especially going forward, while reducing the maintenance burden caused by past branding inconsistencies. These new guidelines match what already exists in a number of ways. 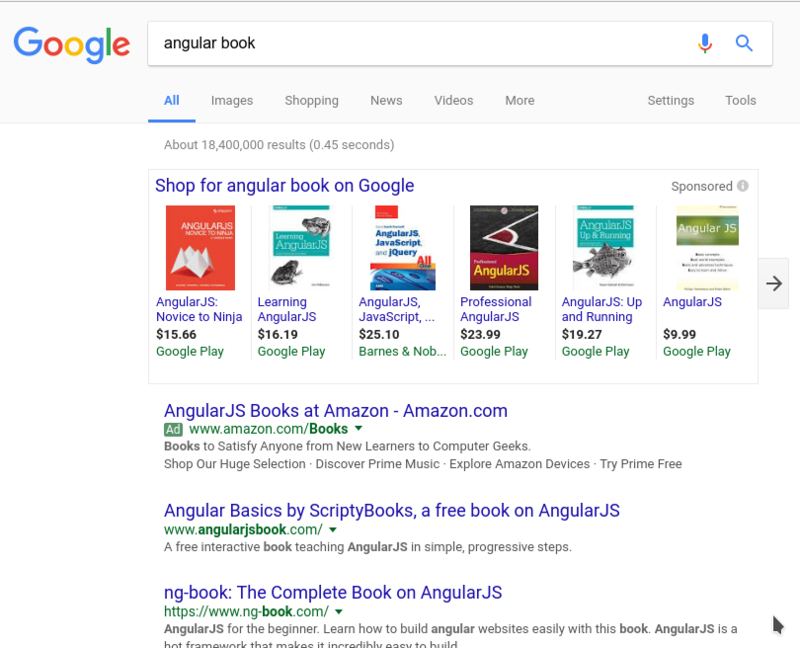 If you are looking for a book on version 1.x, you’ll probably find it with the name AngularJS. And as more content is written consistently using these guidelines, it should become easier to search for what you are looking for. Angular Material is a project led by Google to build a great reusable component library for Angular Developers. The Material project takes Google’s design principles, and boils them down into components you can add your projects. We are continuing to invest in Material as a great choice for developers working with either Angular or AngularJS. To match the name guidelines, we’re clarifying the naming of the projects to “Angular Material” and “AngularJS Material”. For the full guidelines, check out our Press Kit. We’ve been propagating these standards across all of our projects over the last week or so, but there’s more work to be done. You can help by using these names to build consistency across the ecosystem! Here are some handy regular expressions if you’d like to help us fix the branding in your projects!